What Happens If You Keep Playing Sports with a Concussion? Every year, there are as many as 3.8 million concussions related to sports injuries, such as being hit in the head or hitting the turf of a sports field heavily with one’s head. An estimated 50% to 70% of these concussions are never reported. As parents — and coaches — know, both school and professional athletes often want to continue playing or return to replaying very quickly after a sports-related concussion. The players might be motivated by love of the game, a fear that an injury will sideline them going forward, or the culture of “be tough and play,” which used to be common in sports. And players who don’t realize that they’ve suffered a concussion, of course, may continue or return to playing without knowing they’ve been injured. These injuries can be serious and those who are suffering should seek legal counsel with an experienced traumatic brain injury lawyer as soon as possible. There is never a charge unless we win your case. None of these reasons are valid. The fact is, a sports-related concussion is increasingly being viewed as very serious, and as potentially carrying long-term health risks. Any player hit in the head should be evaluated by a physician for signs of a concussion. If a concussion has occurred, they need to stop play and be treated immediately. A concussion is a form of traumatic brain injury (TBI). In a concussion, the brain is jostled back and forth inside the cranium. Short-term symptoms can include dizziness, nausea, seizures, fatigue, and blurred vision. Long-term symptoms can include cognitive brain damage. Athletes with concussions may be more likely to develop dementia and Alzheimer’s disease later in life. Concussions can also be fatal. A head injury can cause bleeding in the brain. Athletes who continue to play immediately after sustaining a concussion run the risk of secondary impact syndrome. This occurs if they receive a TBI again shortly (within 10 days) after the first one. Secondary impacts can be fatal or lead to long-term cognitive damage. It can also take up to twice as long to recover. So if a concussion is suspected or diagnosed, it is not okay to keep playing. Athletes should be transported to a hospital or doctor’s office immediately. If a concussion is diagnosed, the treatment is rest for 3 to 5 days. People with a concussion also need to minimize their brain work for a while. Viewing screens and reading, which many student athletes might do for recreation and homework, can overtax a brain that has received trauma. Students who resumed mental activity such as a full day of school immediately after a concussion took much longer to recover than students who allowed their heads to heal. Some medical professionals recommend starting slowly and listening to your body. If symptoms like dizziness and nausea return after 3 hours of homework, for example, cut the length of time down to a manageable amount. 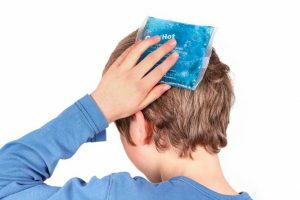 Now that the Fall playing season for football, soccer, and other sports has resumed in southern California, parents and coaches need to be vigilant about diagnosing and treating concussions and all TBIs immediately. If you or a loved one has a sports-related concussion, contact an experienced Los Angeles brain injury attorney today. 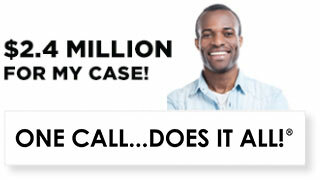 Our attorneys are experienced trial lawyers that will help you get the maximum settlement for your injuries. Patients with TBIs may have medical expenses, long-term mental and physical therapy, and may have a need for life-long care and specialized equipment. A suit can reclaim these damages and more. Attorneys at Ellis Injury Law are seasoned in brain injury law. Contact us now at 310-641-3335 for a discussion regarding your case. The initial consultation is free. The long-term effects of repeated brain injuries have garnered widespread attention in recent years, especially in relation to professional athletes and others who regularly take blows to the head. A major stumbling block in studying the effect of ongoing brain injury has been timing – the internal physical effects to the brain have been confirmed through autopsy, limiting the application of knowledge when it comes to living patients. A new study may have pinpointed a way to identify chronic brain injury while the patient is still alive – when there is still a chance to help the individual. Do you believe you have been a victim suffering from chronic brain injury? A traumatic brain injury lawyer can provide you with legal counsel, a plan of action, and options for restitution. 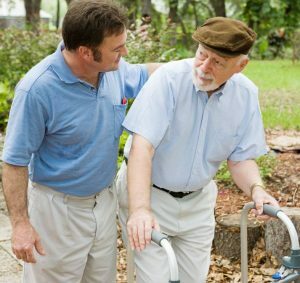 Last month, the Journal of Alzheimer’s Disease published a study examining people who have had head injuries. The study sought to identify chronic traumatic encephalopathy (CTE), a degenerative brain disease in which abnormal proteins destroy brain cells, causing cognitive and emotional disturbance and even suicide. CTE is most commonly associated with football players, who are subject to repeated hits to the head. Unfortunately, diagnosing CTE has required examination of brain tissue during an autopsy to detect the proteins that cause physical brain damage. This has impeded researchers’ understanding of the disease. In the recent study, seven military personnel with suspected CTE were injected with a molecular tracer which binds to the protein characteristic of CTE and measured by PET scan. The scans were compared to fifteen retired NFL football players who had sustained brain injuries and showed symptoms of CTE; 24 people with Alzheimer’s; and 28 control subjects. The scans of the military personnel were different from the scans of the Alzheimer’s patients and control subjects, but similar to the scans of the football players, all of whom had scans similar to other players who had died and had CTE confirmed through autopsy. Dr. Gary Small, a UCLA professor and the study’s lead researcher, points out that the study is just the first step to understanding CTE but is encouraged that it points the way toward more complete study of the disorder. It also offers hope of identifying CTE in living patients. Even when a traumatic brain injury does not lead to CTE, it can have long-lasting impact on the sufferer’s functioning and quality of life. Severe brain injury may require years of rehabilitation to regain, or cope with loss of, cognitive, physical, and psychological functioning. Newer research shows that even an apparently mild brain injury can lead to long-term disability, so follow-up care and medical observation are crucial following a head injury. Our team at the Ellis Injury Law Firm are here to help those who have suffered a traumatic brain injury and their loved ones, hold those at fault accountable. Words cannot describe the disruption that a brain injury can cause to an individual and his or her family, but we have helped injury victims throughout southern California attain the compensation needed to start to put their lives back in order. Contact our firm at 888-675-8254 to speak with a Los Angeles brain injury attorney and schedule a free confidential consultation. Despite recent advances in imaging technology, mild traumatic brain injury has been challenging to accurately diagnose. 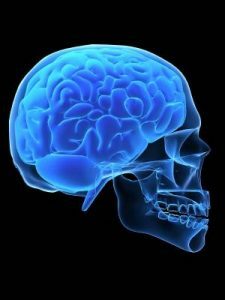 As an example, concussions – which are frequently sustained in sporting and motor vehicle accidents – are associated with regular brain imaging scans. In other words, the brains of concussive patients often appear 100 percent normal on both CT scans and MRIs. According to one 2015 Canadian study, conventional MRI scans and CT scans are not suitable for diagnosing the majority of concussions, since defects or abnormalities are seldom present in the early stages. Both CT (computerized tomography) scans and MRI (magnetic resonance imaging) are non-invasive techniques used to analyze brain tissue and structure. A CT scan uses X-rays to provide a very detailed, cross-sectional view of the brain. An MRI takes high-resolution 3D pictures using magnetic fields and radio waves but, unlike a CT scan, works without radiation. Whenever there is a suspicion of intracranial injury, bleeding or damage, doctors rely on neuroradiology. Let’s look at the differences, advantages and drawbacks of a CT scan vs. MRI for evaluating traumatic brain injury. A CT scan is considered the best diagnostic tool for assessing intracranial hemorrhage (including intracerebral, subdural and epidural bleeding of the brain) within 48 hours of the suspected brain injury. This is because computerized tomography is superior at detecting fresh blood around the brain and is quicker and more convenient in acute emergency settings. However, the MRI provides much more anatomic detail and shows minute injuries that may escape CT scan detection. Magnetic resonance imaging also has a bigger range of soft tissue contrast and is more sensitive to specific structural abnormalities within the brain. An MRI is typically recommended if the patient’s symptoms have worsened, or the test is being performed more than 48 hours after the injury. The MRI does not expose patients to harmful radiation and is considered better at detecting traumatic lesions of the brain, but it is considerably more expensive, and may trigger anxiety in claustrophobic individuals. Diffusion tensor imaging (DTI), a form of MRI that monitors water molecules in brain tissue, is another diagnostic tool that is showing great promise in diagnosing concussions and other mild brain injuries. In research comparing DTI with conventional MRI scans, the former analysis of brain-injury patients exposed signs of white-matter damage not detected by traditional MRI scans. Injuries to the brain’s white matter has been associated with cognitive deficits, such as slowed reaction times. Scientists believe that DTI scans will prove especially useful in TBI cases in which victims suffered Diffused Axonal Injury (DAI) – damage that is commonly seen in high-speed car accidents and falls from heights. Every year in the United States, an estimated 2 million people suffer a traumatic brain injury. Head trauma of any type warrants immediate medical attention, as symptoms are not always obvious but can have love-term negative impacts. With prompt detection and diagnosis, patients have a much better chance of making a speedy recovery. The attorneys at Ellis Injury Law have been litigating TBI cases for more than 25 years, recovering millions of dollars for clients and their families. Schedule a free consultation with a Los Angeles brain injury attorney at our firm and protect your rights to compensation. Media reports in recent years have brought attention to the serious effects that even seemingly mild traumatic brain injuries (TBI) like concussions can have on those who experience them. Despite this growing public awareness, a new study shows that, by and large, those who experience head trauma are not receiving adequate follow-up care even when there are moderate to severe symptoms. If you believe you may have experienced a TBI, consult with a traumatic brain injury lawyer today to learn more about the options available for restitution. According to the study, published in late May 2018 to the JAMA Network, a significant proportion of patients who experience serious symptoms do not follow up with a medical professional. The study tracked data from 831 patients who visited emergency department with a mild traumatic brain injury. Forty-two percent reported receiving educational materials when they were discharged and 44% reported that they had seen a medical provider within three months after the injury. Significantly among those who had three or more moderate to severe symptoms after their concussion, only 52% followed up with a medical practitioner within three months. Though the term “concussion” can sound less serious, it is important to remember that a concussion can disrupt brain function. Sometimes the seriousness can be immediately apparent but often it is not. Many days can pass before the seriousness of a mild TBI is recognizable. The recent JAMA study illustrates that even when signs of a more serious problem are present, in nearly half the cases, patients are not seeking follow-up medical attention. There are some symptoms that should not be ignored after a head injury. If you or someone close to you experiences any of the following after a TBI, please be sure to see a doctor or another medical professional. Repeated concussions are especially alarming because they can lead to long-term injuries. This has led California lawmakers to pass laws to protect youth athletes from head injuries and led California courts to recognize the validity of claims of professional athletes against the organizations that allow them to suffer repeated head blows. Sometimes brain injuries are mild and heal without lasting effects. Other times, they can lead to a lifetime of pain, impairment, and bills. Obtaining proper follow-up care is an important part in assessing the scope of the injury. If you or someone you love has suffered a TBI and you believe someone else may be at fault, speak with a Los Angeles brain injury attorney for a case evaluation. At Ellis Injury Law, we understand what you are going through and are ready to fight for fair compensation. The consultation is free, and all information is confidential. 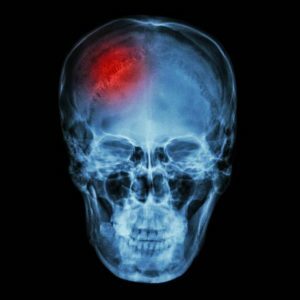 Traumatic brain injuries (TBIs) are serious and potentially life-threatening. They can cause hallucinations, mood disorders such as depression, paralysis, impaired cognitive function, memory loss, and more. These symptoms can be treatable. If they are treated, the quality of life of TBI patients can be measurably improved. 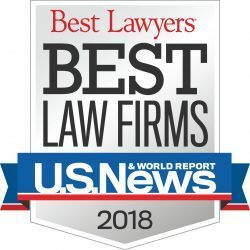 A Los Angeles brain injury lawyer can provide a free consultation and discuss options that may be available if you pursue legal action in a TBI case. At times, TBIs go completely undiagnosed. Why? There are 3 reasons. Because TBIs cause multiple symptoms, and symptoms are often how doctors arrive at a diagnosis, the symptoms may cause a misdiagnosis. Hallucinations, for example, can be caused by seizures whose ultimate cause was a TBI. But a patient may be diagnosed with epilepsy or mental illness like schizophrenia rather than a TBI. In some cases, anti-seizure medication will effectively treat the symptoms. In others, however, the treatment may not work. A patient given treatment for mental illness whose actual problem is TBI-related seizures won’t be helped by the medication. Diseases like Alzheimer’s and other forms of dementia may have started with a TBI. #2. Causal factors aren’t completely understood. Despite the increasing attention paid to TBIs and their consequences, the general public still doesn’t fully understand the causal factors. Most people know, for example, that concussions can cause traumatic brain injury. But repeated hits to the head may cause TBI, even when they aren’t sufficient to cause concussions. These kinds of hits, called “subconcussive”, are equally dangerous and need to be avoided in sports, for example. If they occur, a doctor should be consulted. #3. The people who suffer from TBIs are homeless. People in southern California know that we have a large homeless population. What’s less well known is that a surprisingly high percentage of homeless people have had a brain injury in the past sufficient to cause TBI. Studies in the U.S. and Canada have found that up to 67% of the homeless population studied experienced a significant head injury before they became homeless. This correlation has only recently begun to be studied. But it’s important to know, because the very symptoms that contribute to making people homeless — inability to remember to pay bills on time, keep a job, anger management, and substance abuse — may stem at least partly from TBI. Traumatic brain injury can affect memory, functioning, cause pain and hallucinations that the person medicates with drugs, and cause anger issues. Traumatic brain injuries and their effects are very serious, and misdiagnosis or complete lack of diagnosis can hinder any possible recovery. Lack of understanding of the factors that cause TBI can mean that people don’t take proper precautions. Patients with TBIs must deal with medical bills, long-term therapy, and may have a need for life-long care and specialized equipment. If you or a loved one has a diagnosed TBI or symptoms of one, contact an experienced traumatic brain injury lawyer in Los Angeles today. Contact Ellis Injury Law now at 310-641-3335 for a discussion regarding your case. The initial consultation is always free. All in their head: Traumatic brain injuries often go undiagnosed, especially on the streets. Street Roots News. June 9, 2011. http://news.streetroots.org/2011/06/09/all-their-head-traumatic-brain-injuries-often-go-undiagnosed-especially-streets. Traumatic brain injury (TBI) and its causes have been all over the news in the last few years. Headlines on the effect of concussions suffered in football have provoked an ongoing national conversation. The effect of the repeated pummelings boxers endure has become increasingly clear. Lack of oxygen to the brain during birth or surgery, and its effect on brain functioning, is well-known. If you have suffered a brain injury related to a labor-intensive activity activity, a traumatic brain injury lawyer can provide legal counsel, in any case related to a TBI. Sometimes the causes of brain injury can be very unexpected, like these three. The body’s immune system springs into action to protect us from disease and the effects of injury. It should always be positive, right? Well, research published in the medical journal Acta Neuropathologica Communications indicates that the immune system’s workings may have unexpected effects on brain functioning. The authors suggest that head trauma causes deterioration of the barrier between blood and brain. As a result, the blood’s immune cells — which normally have no contact with brain cells — begin to destroy the cells in the brain. The study, performed on mice, indicates that preventing one of the elements of the immune system would stop the damage. The authors believe that, if the effects of prevention can be extrapolated to humans, it could hold out hope for treatment of athletes who have suffered TBI. When we think of football-induced concussions and TBI, we often think of game day. It’s natural to think of the hardest hits occurring when the fans are in the stands and the result deeply matters to standings and scores. Well, researchers at Virginia Tech have actually found that the strongest hits in football may happen during practice drills. Popular and often repeated drills, such as King of the Circle, thus need to be reviewed and evaluated to ensure maximum safety for the players. People who have attained more status and power than others, whether they lead corporations or perform in mass media, may act as though their egos are large and their self-regard high. But do they act like someone with TBI? Well, they might. Researchers from both the University of California at Berkeley and Canada’s McMaster University have noticed that people with positions of high power and status do act like TBI sufferers. They may behave very impulsively and take on large risks without being aware of the dangers. Why? Well, at least one person who has studied the brains of people with high status believes that their brain chemistry might inhibit a neural process known as “mirroring.” Mirroring is why people who frequently work together tend to take on similar expressions and body language: they are unconsciously imitating the group. But mirroring also gives information about how people and groups behave and what they collectively think. The more power people gain, the more they may lose their capacity to realize these cultural cues. TBIs, whether they stem from unusual causes or the ones headlines have caused us to know so well, can have seriously negative consequences that can last for the long-term. If you or a loved one is suffering from the disabling side effects of traumatic brain injury in southern California, call Ellis Injury Law today at 310-641-3335 for a complimentary consultation. We have the resources and know-how to investigate the causes of your injury and gather hard evidence proving beyond a doubt who is at fault. Need more information? 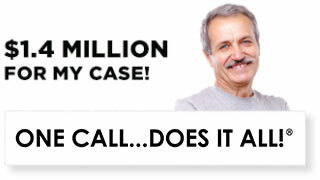 A Los Angeles brain injury attorney can advise you on how much your case is worth! BMC. “Head injury causes the immune system to attack the brain.” https://www.biomedcentral.com/about/press-centre/science-press-releases/20-oct-2014-. News 7, KWLL. “New study reveals surprising cause of head injuries.” August 25, 2016. https://www.biomedcentral.com/about/press-centre/science-press-releases/20-oct-2014-. Sprain a tendon? Use the RICE method. Break a bone? A few weeks in a cast will get you back to normal. But healing brain injuries isn’t so cut-and-dry. In fact, they’re in a league of their own, and not in a good way. Recovering from a brain injury isn’t like regaining muscle strength in a cast-bound leg. There’s no formula of reps and sets to follow to rebuild cognitive nimbleness and flexibility. And increasingly, medical experts are realizing that, long after the acute healing phase is done, the long-term recovery continues. Many experts now recognize that, much like stroke, recovery from traumatic brain injuries lasts a lifetime. It is recommended that a TBI patient consult with a traumatic brain injury lawyer as early as possible as this can help provide some relief. Options for restitution, and recourse can be discussed in more detail. Neurologists often refer to the Rancho Los Amigos’ Levels of Cognitive Functioning scale. The Ranchos scale identifies distinct stages of brain injury recovery. Much like the stages of grief, people progress through it at different rates. Most don’t achieve full recovery. It’s possible to progress to the next stage, and then to regress again. Additionally, not everyone starts out at level one. Level one: No response. The patient is comatose, and does not respond to external stimuli. Level two: Generalized response. The patient is semi-comatose, and has slow, inconsistent, or delayed responses to external stimuli. Responses may include sweating, chewing, faster breathing, increasing blood pressure, moaning, and moving. Level four: Confusion and agitation. The patient is extremely confused and possibly scared. The patient may try to remove tubes and electrodes, kick or hit others, scream, and say unusual things. Level five: Confused and inappropriate. The patient is still confused, but no longer combative. The patient may have better long-term memory than short-term, and struggles significantly with concentration and simple tasks. Level six: Confused and appropriate. This stage can give hope to the patient’s loved ones. The patient is able to focus better, perform simple self-care tasks, and learn information, but still easily forgets information. Level seven: Automatic and appropriate. The patient can perform routine, structured tasks associated with a normal, daily schedule. However, judgment is poor and safety is a concern because of it. Level eight: Purposeful and appropriate. The patient still requires assistance, but is able to function at home and in the community. Memory is better, and new learning can occur. The patient may experience lingering deficits in judgment, reasoning, stress tolerance, intellectual capacity, and emotional stability. A serious brain injury can keep you out of work for a long time—perhaps even permanently. You’ll also have the expense of medical imaging and treatment, medications, and therapy specialists. If your traumatic injury was the result of someone else’s negligence, you shouldn’t have to pay for it. Contact a Los Angeles brain injury attorney today at Ellis Law, located in the heart of southern California. We know that your health is irreplaceable, and nothing can truly compensate you for any permanent disabilities you’ve sustained. 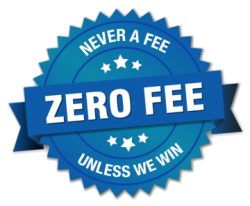 But let us review your case for free, and we’ll see how we can help you secure compensation for your injury-related expenses, including your lost wages. Call our law firm today, all consultations are private and confidential. A recent study indicates that people who suffer a traumatic brain injury (TBI) are 25% more likely to develop dementia later in life, and that the risk lasts up to 30 years or more. In the first year after a TBI, the risk of developing dementia rises 4- to 6-fold. Several or more severe TBIs increased the risk more than one TBI of average severity. The study was conducted on more than 3.3 million people aged 50 or above in Sweden. It looked at people diagnosed with TBI and dementia between 1964 and 2012. It is one of the largest studies of its kind ever conducted, and gives results from what one observer termed an impressively large group of people. The results were published in PLoS Medicine. As large as the cohort in Sweden was, observers cautioned that it only shows correlation between TBIs and dementia. It does not show a cause-and-effect relationship between receiving a TBI and developing dementia. Further study is needed to determine whether a causal relationship exists. In any case, be sure to seek counsel from a traumatic brain injury lawyer if you or someone you know is suffering from a TBI. The study is particularly timely, given the sharp rise in childhood concussions and TBIs. Concussions are the mildest form of TBI. Between 2001 and 2012, the number of children admitted to emergency departments across the country for TBIs related to sports and recreation activities doubled. TBIs can be caused by the brain being jostled back and forth within the skull, as with concussions, or by direct impact of an object against the head, as in an accident, or a fall. There were 2.8 million total emergency department visits and hospitalizations for TBIs for all ages in the U.S. during 2013, the latest year for which statistics were available. TBIs can cause headaches, memory loss, emotional impairment, lack of cognitive function, and can result in severe injury, including loss of limb or other functioning, and quadriplegia. TBIs and their effects can be a tragedy, especially for children. If you have a child who has suffered a TBI, especially from a concussion in circumstances where negligence on the part of a supervisor or institution may have been a contributing factor, contact an experienced Los Angeles brain injury attorney today. TBIs can result in steep medical bills, extensive therapy, and the need for life-long care and specialized equipment. Unfortunately, all too many people in Southern California are harmed by TBIs annually. 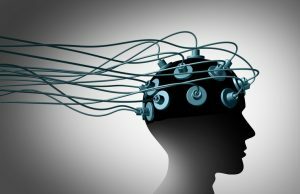 Attorneys at Ellis Injury Law have decades of experience successfully litigating brain injury cases. 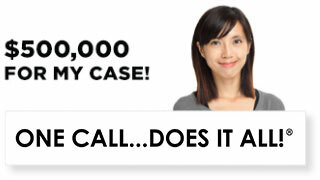 Contact us now at 310-641-3335 for a free consultation, and to see how much your case might be worth. Concussions are some of the most prevalent injuries seen in sports medicine. They are also some of the most dangerous. Why? Despite significant advances in research and education on concussive injuries, there still remains a lot of misinformation regarding their causes, diagnosis and treatment. A type of mild brain injury, concussions can happen under a variety of circumstances and are not limited to sporting accidents on the field. A concussion can result from a fall off a bicycle, a car accident, being struck by an object, and other non-sports contexts. If you believe you have suffered a brain injury, contact one of our experienced lawyers today to learn more about the options available for if you need to file a lawsuit. In an effort to help people rethink the severity and potential dangers of concussions, let’s dispel some of the more common myths being perpetuated. Any blow that sends enough force of impact directly to the brain can cause a concussion. For instance, a fall or sudden jolt to the neck, back or shoulders can shake the body with enough force to rattle the brain inside the skull. This sudden movement can cause serious damage to brain cells. Very few people actually lose consciousness after suffering a concussion. While passing out is a definite indicator of a concussive brain injury, no two concussions are the same, and there is a wide spectrum of symptoms that may present. Sudden headache, nausea, dizziness, balance problems, and ringing in the ears are common signs that point to a possible concussion. The type and strength of blow sustained does not always have a direct correlation to the severity of the concussion, or the recovery time. “I have seen children who have fallen out of a two-story window and within a few days have fully recovered, while others who have simply been hit with a dodge ball in gym class can take a year to get better,” explains assistant professor of pediatric sports medicine at Washington University, Dr. Mark Halstead. These high-resolution imaging tests are designed to identify bleeding and/or damage to the brain, but they are not particularly adept at diagnosing a minor concussion. Most doctors assess patients for concussive injuries by asking about their symptoms, looking for post-concussive physical signs and performing exams to evaluate things like vision, memory, concentration and balance. In reality, there are more biking accident-related concussions in American children than any other type of sport. According to statistics, cheerleading and wrestling follow with the next highest concussion rates. When it comes to this increasingly common brain injury, it absolutely pays to be educated and prepared. By understanding the wide spectrum of symptoms, you are more likely to recognize a concussion and seek prompt medical treatment. Long-term side effects from concussions are often traced back to poorly treated injuries or delays in treatment. Even mild TBIs can leave victims at risk for long-term damage and lengthy recoveries. The bottom line is that concussions should not be taken lightly. Seek prompt medical evaluation and treatment, and if negligence is suspected, contact a Los Angeles traumatic brain injury attorney at Ellis Law for a free consultation. We are proud to offer award-winning personal injury representation to residents throughout Southern California.